Pilgrimage – A journey to a shrine or other sacred place. To many, VIVEK’s SYSTEM nights could be classified as such, being that people travel from far and wide, almost religiously, to pay homage to the lower frequencies. Since the first event back on 11th February 2012, myself and many others have been hooked on what is such a simple concept, a big room, a big sound system and no bulls**t. The first few events had no real guest DJ’s to speak of, simply a night of music hosted by VIVEK and Mala, but as the events went on, special guests were carefully chosen to compliment the SYSTEM sound. The event wall for the 2nd birthday bash is typically sparse of information, with little more then a time, date and location, prompting the newcomers to ask about the line-up, and promptly answered with ‘you’ll find out on the night!’ by those that have been before. VIVEK hasn’t let us down yet, and the 2nd birthday was to be no exception. Arriving just after 9pm see’s a healthy queue of people all ready and waiting to get inside. An array of proudly worn SYSTEM tee’s dotted through-out, show there are a fair few regulars keen to be involved from the start, no doubt accompanied by those eager to know what the fuss is about. Inside, the night is warmed up with the sounds of dub reggae courtesy of SYSTEM Roots. You don’t need to be a connoisseur of reggae culture however to be able to appreciate these early few hours, the backbone of SYSTEM is the sound system itself, and combined with carefully chosen records, it’s a powerful combination that you can’t help but grab a drink and start moving too. By around 11pm the place is alive and pretty much at capacity. The last few lights are turned off and the atmosphere is on point. Up until now the mic duties have been taken care of superbly by Deco, but even the SYSTEM veterans are itching to find out who they’ll be dancing too over the next few hours. Shortly before handing vocal duties over to SP:MC, VIVEK picks up the microphone and welcomes everyone before informing us of the guests chosen to represent the SYSTEM sound; Wen. Quest. Gantz. At 12am it’s time for the first guest to step up. Wen is a relatively new name on the underground scene but is quickly gathering a lot of attention with his own productions on forward thinking labels such as Keysound and Badimup!. Whilst maybe not falling under the ‘dubstep’ banner, his dark, minimal, bass driven tunes share more then a few similarities with the sound, and it’s a nice move from VIVEK to use SYSTEM as a platform for showcasing some of the new talent coming through. I’ve been looking forward to seeing Wen play live since I first heard his ‘Commotion E.P.’ and he didn’t disappoint, going straight in with a selection of the darkest bass lines, accompanied with sometimes barely-there percussion but keeping necks swingin throughout. Multiple reloads were pulled throughout his set as Wen built the atmosphere up and up with the highlight being when he dropped his own refix of Dizzie Rascals ‘Strings Hoe’. With his album ‘Signals’ also about to drop, those that hadn’t heard of Wen before, most certainly have now. Taking over from Wen, we had the host himself VIVEK. No one knows how to work this sound system better then it’s creator, and for the next hour we are treated to a journey of sounds from VIVEK’s vaults. Plenty of dubplates made their way on to the turntables accompanied by some of the firm favourites such as ‘Feel It’ and ‘The Big Bang’ keeping everyone moving and the vibe right. SP:MC was doing a brilliant job of making sure everyones attention was held by interacting with the crowd, shouting out the various groups who’d travelled far and wide and occasionally injecting a few bars of lyrical precision when necessary. All too soon, 2am approaches and it’s time for the second guest of the night to take over. Dubstep legend Quest has recently come storming back into the forefront of the scene with his ‘Visitors/Dubfoot’ release on Deep Medi, and judging by the cheers from the crowd, many people are looking forward to seeing what he’s going to drop. The Dome soon erupts into movement as the first few bars of Quest’s own 2008 classic ‘Hardfood’ starts filtering through the speakers, but before anyone in the room had time to think this may be a ‘history’ set, Coki’s ‘Bobs Pillow’ comes out of nowhere to make sure everyone is up and going mad. Quest continued to tear it up with flawless mixing and various bangers from Kromestar to Silkie, classics to forthcomers, only giving the dancefloor a brief minute here and there to catch breath with tracks like Om Unit’s ‘The Silence’. SP:MC was joined mid-set by the one and only Crazy D, and G-Double, who continued the quality hosting for the rest of the set. A hugely varied selection from Quest, executed to perfection, and definitely enjoyed by all! As 3am comes around, Quest draws his set down to a close and we are handed over to the much talked about, but as yet, rarely seen live (in the UK at least), Gantz. Although only surfacing over the last couple of years, Gantz has made a big impression on the scene already. His unique spin on the dubstep sound kept firmly in the hands of a select few, meaning anticipation is high for what he’s got in store. Going in with a diverse selection of deep percussive, dubbed out and tribal tracks from the likes of LAS and Commodo accompanied by relentless sub-bass, proving to all inside that the dubstep sound we know and love is still alive and healthier then ever. 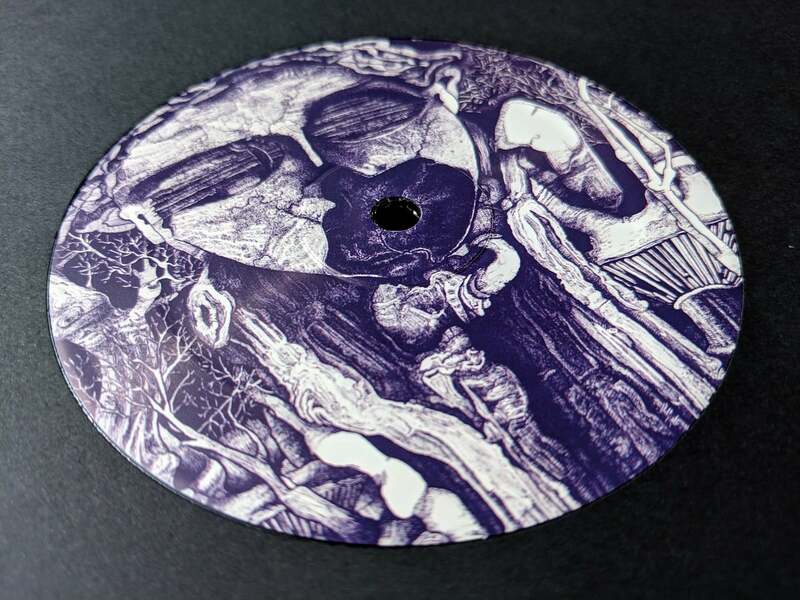 Gantz’s mixing was on point throughout, the personal highlight being his own much awaited Deep Medi release ‘Spry Sinister’ mixed into an unheard (by me anyway) Kromestar remix of VIVEK’s Asteroids… Vibes!! At quarter to 4 the lights come back on but Gantz continues and the crowd continue to dance, slightly dazzled but relatively unfazed, prompting the security guards to come over and remind us that the birthday celebrations have to end some time. Just after 4am the volume levels drop and VIVEK takes to the mic once again to thank everyone for attending. He also announces that as he has his hands full with a newborn baby (congrats! ), the next SYSTEM won’t be until August. Having been present at all but one or two SYSTEM nights, this one was definitely up there with the best, and it’s nice to see VIVEK pushing the sound forward with new up-coming producers, whilst still retaining the vibe and atmosphere that so many have come to know and love. It may only be two years old, but I have a feeling there will be plenty more SYSTEM birthday’s to come. Shout out to Capture for the shots, Dubby, Zook, Matty, Raggs and all Sub FM crew, Badimup, the Dubtribu gang, Serious Blendz and all the SYSTEM crew, DJ’s and dancers for making the night such a success. It’s reviews like this that keep the positive spin on music alive. 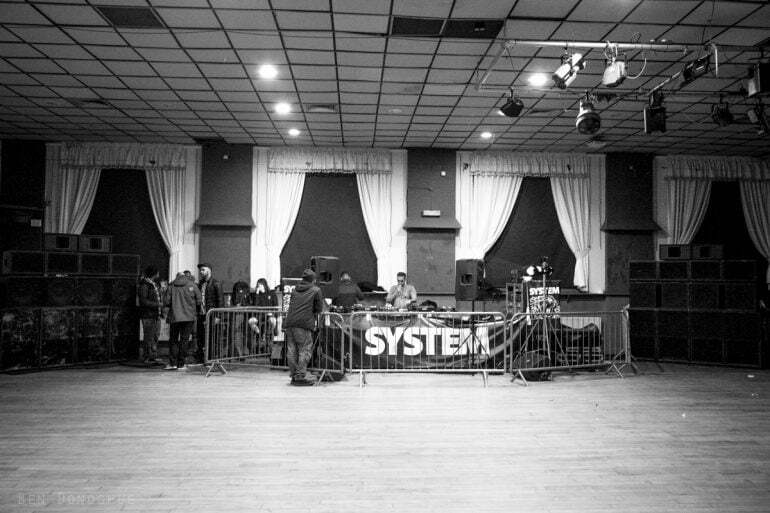 Only been to SYSTEM once, not many nights these days, in London anyway cater for the music. People in London are too critical of what it compares to or sounds like, every track is individual. At least it doesn’t mention mixdowns or EQ, so a refreshing read albiet the comparisson talk. Dub bass for the future.